Poetry can encourage a child's love of reading. 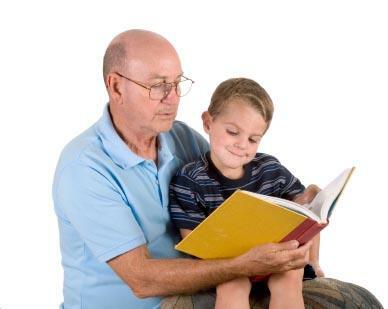 Encourage a love of language by incorporating haikus to read to children into your family's story time rituals. Haiku is a form of Japanese poetry. A haiku is a poem, but it does not rhyme. The goal of a haiku is to portray a mood or express a feeling. A haiku must have 17 syllables. The format of a haiku is often described as 5-7-5. Traditionally, haikus described various aspects of nature. Today, however, haiku poems take on just as many subjects as other forms of poetry. Haiku Poetry: This resource offers free PowerPoint presentations and several illustrated examples of haikus for children. Voices Net: A site for amateur poets, this resource includes many different haiku poems. You can e-mail your favorites to a friend, if desired. Many of the Web sites offering free printable books for kids, free online books for kids, or resources to download free kids books also have several poetry books available for young readers to enjoy. Brainstorm a list of words relating to the topic. For example, a haiku about Christmas might include the words presents, stockings, candy cane, Santa, snowman, and Christmas tree. Make a note of the number of syllables in each word on your list. Write sentences using your words. Experiment with different sentence combinations until you've reached the haiku's 5-7-5 format. If desired, draw a picture to illustrate your haiku poem. The book Haiku: Asian Arts and Crafts for Kids is a great resource for children interested in writing haiku, since it contains several creativity sparking exercises and a guide to the many different forms of haiku.